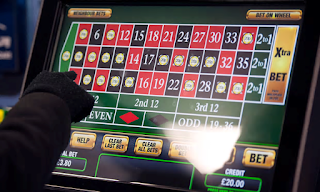 News that the government is to reduce limits on fixed odds betting terminals to just £2 per spin, will have knock on consequences, both intended and unintended. Whilst the bookmakers argue that thousands of jobs will be placed at risk, will it be horse racing that is the real loser from the new shake up? When you ask people on the high street, few would argue that the new restrictions on the value of bets that are allowed to be placed on so called FOBTS shouldn’t be changed. These machines are known as the crack cocaine of gambling, allowing punters to bet £100 every 20 seconds. For someone with a gambling addiction, the temptation is too great and too frequent. One unintended consequence of today’s announcement will be the shake up of funding to British horse racing. There are estimates that the sport could lose as much as £60 million in funding as a result of the new laws. That said there are already moves underfoot, to fill this hole, with a proposals being considered on widening the horse racing levy to include bets placed on overseas racing. Whilst the severe reduction on betting stakes for FOBT machines, will inevitably have a harsh effect on high street bookmaker’s profits, the industry is known for its creativity. We’ll likely see a greater shift to online promotions. Free horse racing bets are already popular with online bookmakers, and we’ll likely see this kind of activity increase. Ministers will likely find ways to fill the hole left by the ban by increasing funding from other betting sources, but it’s hard to imagine that this isn’t the end of extended regulation in the UK gambling industry. In future years it’s highly probable that the fight will be broadened, with limits to bet sizes and spin times broadened to include online portfolios as well. It will be important that the horse racing levy is updated as legislation changes to ensure that the sport remains viable for years to come.